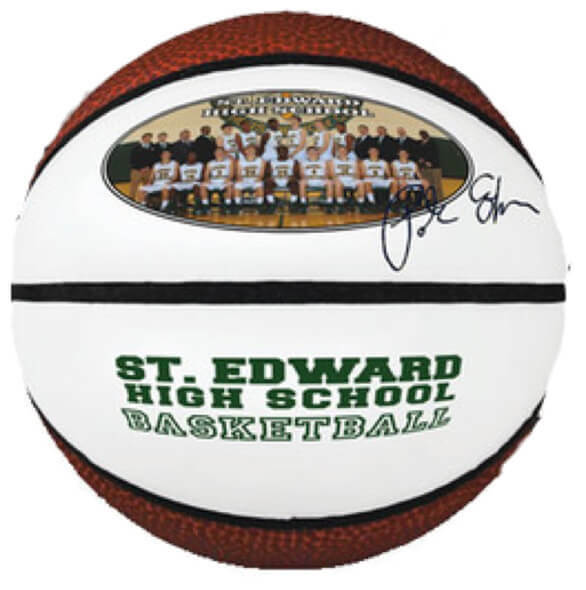 Synthetic leather basketballs with two white autograph panels. Product Size 5" in diameter. Imprint Area 2" W x 1 3/8" H Oval; Full Color Print: 2" W x 1 3/8" H inside an Oval. Autographing Permanent markers recommended for a clear, long lasting autograph. Shipping Ships deflated. Please make sure you follow inflation instructions very carefully. Please contact us if you need them shipped inflated (shipping cost will change significantly). All full color printed sport balls ship inflated to prevent your printed artwork from cracking and bubbling. Production Time 5 business days. Rush: 2 business days ($15.00 charge per 50 balls per panel applies and virtual proofs are not possible with rushes). Express shipping options available at check out. Production times are usually firm, but may vary depending on production schedules. Setup Charge $25.00 per ink/panel; Full Color Print: $35.00 per location. The product was great and the picture art turned out great. Proof was sent and I even corrected some small lettering and that got done. Customer service was excellent. I recommend. Used them for a basketball team end of year with the players signing each ball. Gave these as first place individual trophies for our latest tournament and the kids just loved them. Charlene Goodine was very helpful in helping make sure product was done on time and the way I was envisioning. Great product and great service.